Wow, next time you’re at Aldi, keep an eye out for a price cut on organic eggs! 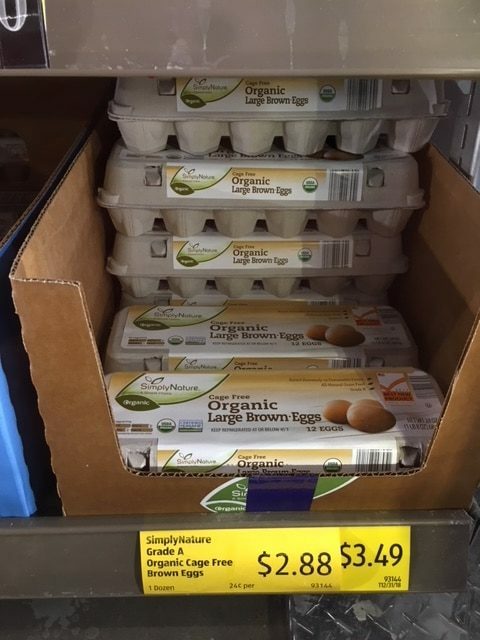 I found cartons of SimplyNature organic large brown eggs for just $2.88 a dozen! This is the lowest price I’ve ever seen for eggs! Stock up if you find this price drop at your local Aldi!